The name for what was once know as the Cantina de San Angel at Epcot's Mexico Pavilion will be now called Hacienda de San Angel. The Gobel Shop that was in the Germany Pavilion will be transformed into a Werther's Candy Shop by Sept. 2010. Star Tours will officially close for it's refurb Sept. 8th. It will then be changed over into Star Tours 2. It's A Small World will be closed for refurbishment from Aug. 1st - Oct. 22nd. 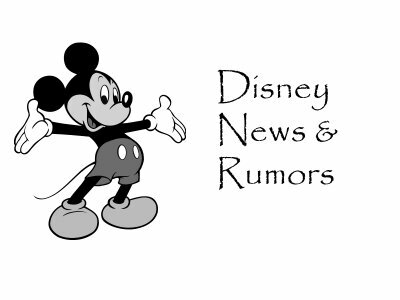 No word on what type of work will be done, but it has been said that characters will not be included, like they were at Disneyland's version. Disney will be opening a new resort called the Art of Disney Animation Resort. For more info and my take on the new resort, see the previous post. New since the last post, is the resort is expected to open in phases, with the first phase to open in Summer 2012. Due to the Power Rangers being sold back to their original owners, Haim Saban, the meet and greet will be leaving the Studios on Aug. 7th. MuppetVision 3D has officially reopened after it's refurb. The good news, the pre-show has remained unchanged, as it was originally rumored to be. Also, the main show is still in it's original form, but with a better picture quality. Also, some of the effects that weren't being used are now working again and the pre-show has new TVs. Rock n' Roller Coaster began it's refurbishment with a reopening date of May 21st. R2-MK, a new droid, will indeed be meeting guests at this year's Star Wars Weekends at DHS. Teamboat Springs at Blizzard Beach was supposed to reopen this weekend from it's refurb, however, it appears that the refurb has been extended, with the reopen date now of June 1st. Tickets are now available for spectators for the Finish Line Party at the Wine and Dine Half Marathon in October as well as the Oct. 3rd Mickey's Not So Scary Halloween Party. To order tickets, all 1-407-WDW-IRUN. It's been said that LeCellier might be changing to a Signature Restaurant (meaning upping the cost) starting as soon as Sept.
2 new countries that may be included in this year's Epcot International Food and Wine Festival are Belgium and South Korea. Disney's Art of Animation Resort Is A Go!